Sacramento Valley Tree Services, Inc. While there are many additions that can be made to a property, one of the most desirable accents a house can have is a well-placed, well-maintained tree. When combined with the house, walkway, porch, or any other manmade facets of the property as a whole, a tree brings a subtle, natural beauty to your home's appearance. Aside from aesthetics, trees also offer practical benefits such as shade or a focus for children's play. Well situated, healthy trees can even play a role in your property value! Trees, unlike many other facets of your home's aesthetic, are living things and need to be treated as such if they are to flourish and enhance rather than diminish and detract. In Sacramento, tree service is often a necessity at one time or another for any homeowner who wants their tree to look healthy, live long, and not pose a threat to people or property. Obviously, if a tree is in a blatantly precarious position and seems likely to cause property damage if hit with a stiff wind, you should call in a professional immediately. However, more subtle scenarios may also be grounds to call for tree service. Sacramento homeowners who notice a marked increase in fungal growth or insect activity on their tree can call in a professional to examine (and hopefully fix) the problem. Sacramento tree service companies can also be contacted for trimming. Unlike hedges and shrubs that are low to the ground, trimming a tree often requires tools that many homeowners don't have and heights that many would rather not deal with. Problems with roots causing plumbing issues or foundation damage can also be handled by a tree service. Sacramento homeowners might consider calling a plumbing company for such issues, as well, but many find that tree service companies often offer more permanent solutions. While they are a must when a problem already exists, an ounce of prevention goes a long way when dealing with tree service. Sacramento is not known for snow and ice storms, which are some of the biggest factors in tree damage in other parts of the country; however, no place in the country is completely immune from lightning strikes, high winds, or teenage drivers! Sacramento tree service companies are able to spot branches that may pose a problem well before property damage occurs. Often, trimming problem branches once every few years is the difference between major storm or impact damage and a tree that poses little or no threat to itself or the vehicles and structures around it. Disease and insect infestation are also common risk factors to trees in Sacramento. Tree service companies that are called too late often have little chance of eliminating these issues once they are established, making tree removal the only safe option. Fortunately, your local tree service company is likely to have very in-depth knowledge of the diseases and insects that pose the biggest threats in your area. They will also be aware of the insects and diseases that are traveling towards the city and the steps that can be taken to prevent these factors from damaging your trees. Remember, due to climate and other localized conditions, Sacramento tree service is different than tree service in other areas. Spraying for pests and disease on your own might be helpful, but the local pros are certainly the most well-versed in what works (and what doesn't work) in your area! Homeowners are often sad to see a tree go, but when damage significant enough to cause a tree to be unstable and unsafe occurs, removal may be the only option. Sacramento tree service companies are far better equipped to handle this kind of work than most homeowners, and are more experienced in the techniques and practices to make the job safe. Even if you do most of the odd jobs around the house on your own, removing a tree is something that is generally better left to the professionals. 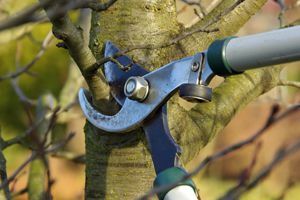 When removal becomes necessary due to disease or insect infestation (rather than trauma or impact), having a professional handle the task is particularly important to make sure the ailment doesn't spread to other trees in the area. We keep track of every job we process nationwide, including Sacramento tree service. Though we can't give you an exact figure on how much your particular job will run, we can tell you that our numbers indicate that tree trimming generally runs between $200 and $500, while tree removal costs can run over $1,000. When comparing estimates from different companies, you should take special care to understand everything that is included in the price. Some tree service companies in Sacramento might include stump removal in their estimate for tree removal, while others may consider them two different tasks. Knowing in no uncertain terms all that is included in the price will spare you any surprises when the bill comes, and will give you a better idea of which company best suits your budget. Comment: My front yard London plane tree needs thinning and branch removal. My neighbors tree has a branch growing over my roof and fire place chimney that needs removal. Comment: Remove a 20-25 foot tree in front lawn and a 10 foot tree in a court yard. Also, trim a orange tree in my backyard. Comment: I need a lemon tree on the left front of the house trimmed. Sacramento Tree Services are rated 4.79 out of 5 based on 1,726 reviews of 52 pros. Not Looking for Tree Service Contractors in Sacramento, CA?